Warning: Rogue One spoilers ahead. With all the moving pieces in Rogue One, don’t feel bad if you came away a little confused about how exactly the Rebel Alliance is composed. After all, even Jyn Erso had trouble making sense of it when she first arrived at the Rebel base. In the original trilogy films the good guys were really easy to tell apart from the bad ones—partly because of the Empire’s affinity for white, black, and various tones of grey. Rogue One muddied those waters. Someone please tell Anakin to shove it. In the original trilogy, the Rebellion was portrayed as a singular entity: a rag tag force that ducked, bobbed, and weaved around the galaxy. Rogue One changed that by showing us a fragile Rebel Alliance beset by divisiveness and extremist factions. In this way Rogue One mirrors the real world, as conflicts have rarely been limited to two factions duking it out on the battlefield. The US experienced this in its own history, with irregular forces playing a role in almost every conflict from the American Revolution to operations in Afghanistan. Militias, extremists, and other irregular military forces often present complications that extend far past any single battle. Most recently, the “War on Terror” and Syrian Civil War have brought these complications into sharp focus as nations grapple with how to deal with different types of fighters. Rogue One presents many of those same issues. While the larger Rebel Alliance struggles to throw off the Empire’s yoke, splinter elements like Saw Gerrera’s ruthless militia frustrate their efforts. 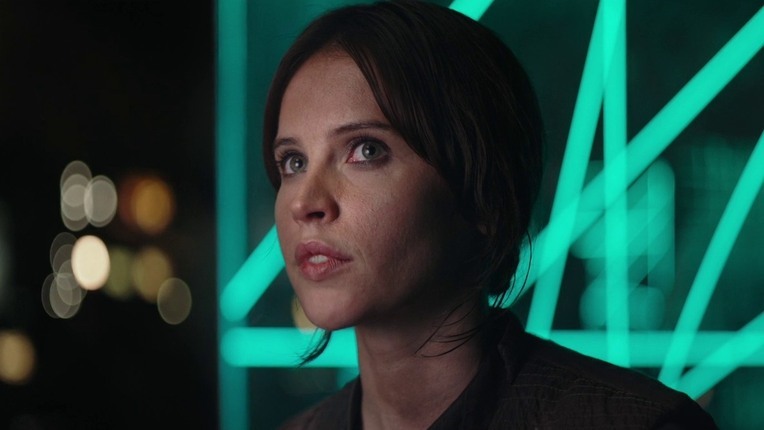 The interplay between the Alliance and Saw’s forces poses an interesting question: What sort of legal status do the fighters in Rogue One have? Darth Vader demonstrates his own method of determining one’s combatant status. Fortunately, we don’t need K-2SO’s skills in strategic analysis to answer this one. Under the law of war, those who take direct part in fighting are considered combatants. But not all combatants are created equal under the law of war. “Privileged” (or “lawful”) combatants are those who meet certain traditional criteria established, in part, by The Hague and Geneva Conventions. Those requirements include (1) wearing a fixed distinctive sign or uniform; (2) operating under a military command; (3) carrying arms openly; and (4) abiding by the laws of war. Someone who fights but does not meet one or more of those requirements is considered an “unprivileged” (or “unlawful”) combatant. There is a big distinction between the two, as “privileged” combatants are entitled to prisoner of war (POW) status if captured and bear no criminal responsibility for acts within the bounds of the law of war. Luckily for the Rebels, they fit the criteria for privileged combatants. First, while they may lack the polished white armor of Imperial stormtroopers (or the supremely badass Death Troopers’ black kits), the Rebels wear their own brand of uniform. 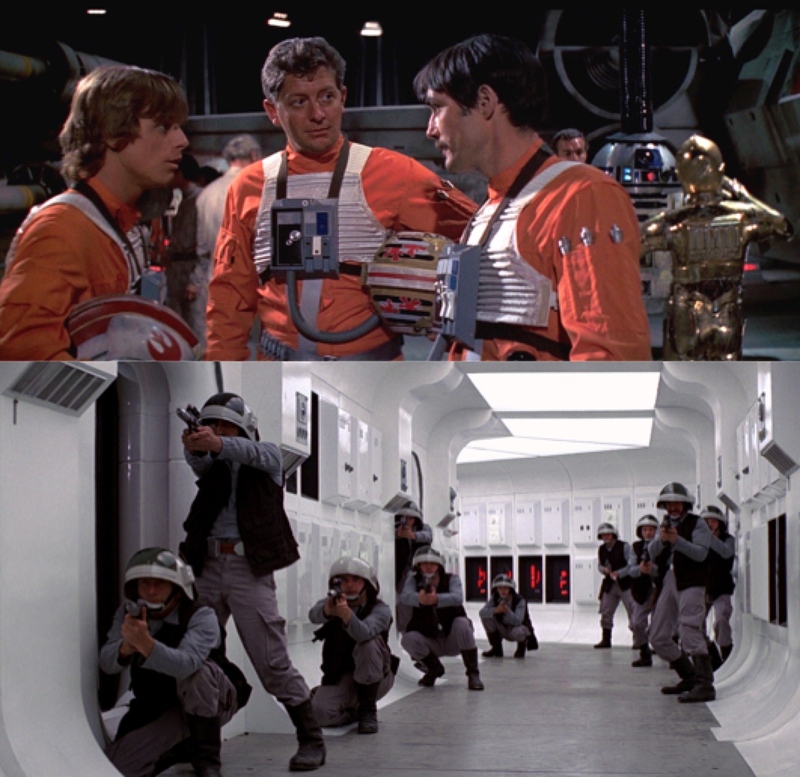 We see a mix of these throughout Star Wars, from the iconic blaze orange flight suits of Red and Gold squadrons to the dapper button down and vest-wearing fleet troopers. Many Rebel pilots’ helmets are also emblazoned with the Rebellion’s iconic starbird symbol. The latest in Rebel pilot and fleet trooper fashion. The Rebel Special Forces (SpecForces) Soldiers who volunteered for the Scarif infiltration may not have REBELLION stitched on their backs, but they were still equipped in uniforms. Much like their brethren on Han Solo’s Endor strike team, their uniforms were meant to be utilitarian. Their shirts, vests, cargo pants, and combat boots are roughly similar to each other. The Continental Army faced similar circumstances during the American Revolution. American troops generally wore similar uniforms, but not every soldier had access to the same supplies, which sometimes resulted in ragtag-looking battle formations. As a whole, the Alliance’s uniforms are distinctive, which serves an important underlying purpose: It helps distinguish them from civilians on the battlefield. Saw Gerrera’s militia force on Jedha provides a stark contrast. His forces forgo any type of uniform. 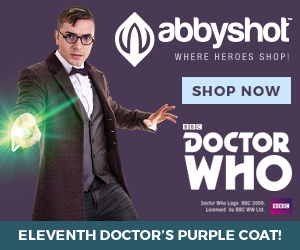 This is best exemplified in the scene where Saw’s forces ambush an Imperial tank in the middle of Jedha City. His forces dress in clothing similar to Jedha civilians, wearing no type of uniform or distinctive insignia. Doing this surprises the Imperial troops when they hit the tank. After the ambush they again take advantage of their civilian appearance to melt back into the civilian population as Imperial reinforcements arrive. Second, Alliance fighters operate under a military command. The Rebels in Rogue One have a clearly established chain of command, from lower enlisted troops like Corporal Bistan (everyone’s favorite space monkey door gunner on the U-Wing) all the way up to officers like crotchety General Draven and loveable Admiral Raddus. While one can certainly question the Alliance’s military decision-making (ahem, Admiral Raddus—we all saw you cowboy off to Scarif), there is no question that their forces are organized in roughly a traditional command structure. Those in authority maintain control over their forces and bear responsibility for their actions. On the other hand, Saw’s forces are merely a loosely cobbled collection of denizens aligned around a similar goal. Saw is undoubtedly the leader of the group, but his position bears little resemblance to the type of military command contemplated by the law of war. 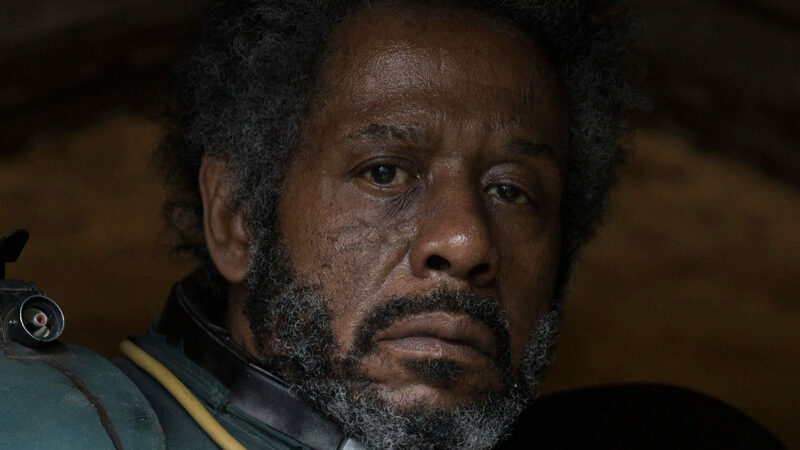 To Saw Gerrera, this presents an advantage—the lack of rigid military command, control, and accountability gives his forces moral and tactical flexibility to more quickly achieve their objectives. Besmirching Saw like that will get you sent straight to the bor gullet for a slimy tentacle hug. Third, Alliance troops carry their arms openly. The requirement that privileged combatants carry arms openly helps distinguish them from civilians, just as with the uniform requirement. In Rogue One, the Rebel SpecForces on Scarif openly carried blasters as they maneuvered, fired, and displaced. The same went for the unfortunate Rebel troopers who rushed to download the Death Star plans before getting cut to ribbons by Darth Vader in quite possibly the most amazing Star Wars scene ever. In comparison, Saw’s band of fighters only did so when it suited them. While some of his men are seen openly armed during the prisoner exchange with Bodhi, those involved in the Jedha City ambush conceal their arms until the last second. This quickly causes chaos, as the Imperials have trouble telling combatants apart from civilians in the fray. This confusion unnecessarily put civilians in harm’s way. The Tin Man wanted a heart…poor K-2SO just wanted a shiny new Blastech blaster pistol. Finally, although some of their actions were questionable, the Alliance abides by the law of war throughout Rogue One. For instance, they do not kill indiscriminately or target civilians. The Rebels contain their strikes to legitimate military targets, using force only when necessary. Conversely, Saw Gerrera’s forces appear to be at peace with violating the law of war if it helped achieve their objectives. The Jedha City ambush is a prime example, as many of Saw’s men disguise themselves as civilians before firing on stormtroopers. Under the Geneva Conventions Additional Protocol I, feigning protected civilian status to kill enemy combatants is considered perfidy, a treacherous act and breach of the law of war. Similarly, Saw’s use of the tentacled bor gullet creature to interrogate Bodhi Rook arguably constituted torture, which would violate tenets of international law such as the 1984 Convention Against Torture. Ah, the face of an unprivileged combatant that only a mother could love. Unlike Rebel Alliance soldiers, Gerrera’s band bears a striking resemblance to groups like the World War II French resistance groups Franc-Tireur and Francs-Tireurs et Partisans. These groups operated in small cells, wore no uniforms, and aimed to disrupt German occupation of France at all costs, much like Saw’s forces sought to do on Jedha. In the post-World War II Nuremberg Trials, many of the partisan fighters aligned with those groups were found to be unprivileged combatants. Saw’s forces would likely be treated the same given their composition. In contrast, Rebel Alliance soldiers are classified as privileged combatants. This distinction is critically important to the Alliance because of the protections privileged combatants enjoy under the law. First and foremost, any captured Alliance soldiers would be entitled to POW status and granted the protections outlined in the Third Geneva Convention. Without this sort of protection captured Alliance forces would face a grim fate upon capture, including inhumane treatment, neglect, and summary execution. Although POW status would not magically prevent the Empire from committing abuses, it is nonetheless a vital right of lawful combatants. Additionally, as lawful combatants, Alliance forces would bear no criminal responsibility for killing enemy personnel or destroying enemy property, provided the acts were done within the bounds of the law of war. Given the Alliance operations we see in Rogue One, this protection is critical. For example, Alliance pilots could not be held responsible for killing Imperial forces during their bombing run on Eadu. Similarly, had Scarif not been swatted by the Death Star, the Rebel SpecForces would be immune for their destructive efforts on the planet. In the end, the Alliance’s concern for distinguishing itself from Saw’s band of fanatics goes far beyond the need for legal protections. Much like American forces during the Revolution, the Alliance’s struggle for legitimacy was just as important as any of their combat operations. Splinter factions like Saw Gerrera’s severely undermine the larger cause, as their extreme tactics helped the Empire’s effort in casting the Rebellion as a collection of terrorists and insurrectionists who deserve no quarter. 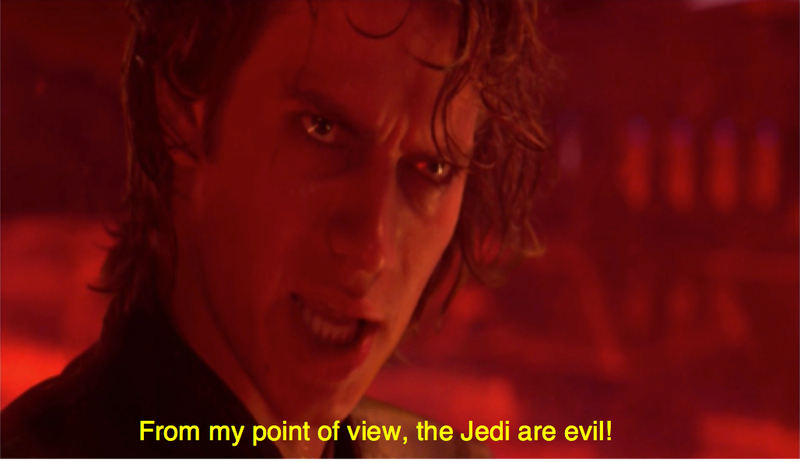 It is therefore essential that the Alliance distance itself from those kinds of splinter groups by conducting its combat operations appropriately—even if the bad guys are led by a psychopathic Sith lord and his youngling-murdering half robot apprentice.